With the advancements of Fibre Broadband we now highly recommend if possible to hard wire your TV to your router for a faster and more reliable signal to your smart TV. We can install CAT6 for a variety of reasons. A dedicated CAT6 cable run from your router to devices such as TV's , Gaming consoles, Computers provides a faster and more reliable connection than WIFI. 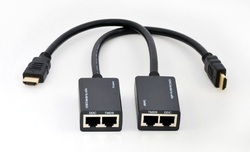 CAT6 can also be used to carry HDMI over long distances with HDMI extenders fitted. CAT6 can also be used for hard wired remote extender systems via Home Hub etc. This provides a far more reliable connection and service to extend your remote sender, than the wireless ones. We can also move or install new Phone points if required. We can supply and install HDMI cable or Run CAT6 with HDMI extenders on them for any longer distances. 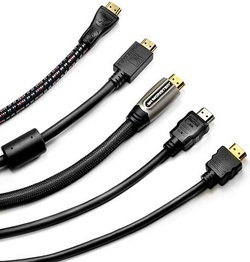 Factory HDMI cables can generally function properly up to 20 metres in length. 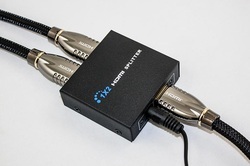 HDMI can also be split so you run 2-4 TV's at a time in high definition. Extra TV outlets can easily be added around your house if required so you can have TVs in multiple rooms. We also have experience prewiring new houses so that all the cables are hidden in the wall and all the TV points are installed as per your requirements. This can also be completed in existing houses depending on the location and house specifications. 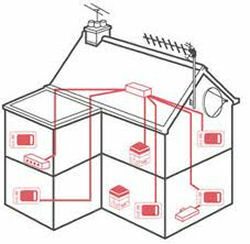 BM Solutions specialise in splitting receiver signal to multiple TV's throughout your house. You may have 1 or multiple receivers and want different channels fed to different rooms. This can be installed on receivers including SKY TV, FREEVIEW and DVD Players.